The April Mortgage Monitor report released by Lender Processing Services, Inc. (NYSE: LPS) shows an expected historical seasonal increase in delinquencies, but a continuing trend in fewer new problem loans. While April is consistently the month with the largest increases in new delinquencies, in 2011 this increase was the largest it has been in a number of years. At the same time, though delinquencies increased by 2.4 percent in April, they still remain well below the levels of January of this year and more than 25 percent lower than the peak seen in January 2010. The April data shows that new problem loans, currently at 1.28 percent, have hit three-year lows, with the rate now at less than half of 2009’s peak levels. The report also shows the impact of the ongoing process reviews and moratoria as both foreclosure starts and sales decreased significantly in April. Foreclosure starts were down nearly 31 percent from the prior month, while foreclosure sales also declined and remain well below pre-moratoria levels. Continuing the upward trend seen for more than three years, foreclosure timelines continue to extend. As of the end of April, the average loan in foreclosure was 567 days past due, which is the longest period on record. 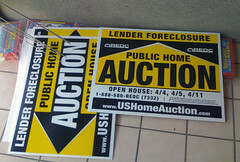 In fact, 33 percent of loans in foreclosure have not made a payment in more than two years. LPS manages the nation’s leading repository of loan-level residential mortgage data and performance information on nearly 40 million loans across the spectrum of credit products. The company’s research experts carefully analyze this data to produce a summary supplemented by dozens of charts and graphs that reflect trend and point-in-time observations for LPS’ monthly Mortgage Monitor Report. To review the full report, visit http://www.lpsvcs.com/NEWSROOM/INDUSTRYDATA/Pages/default.aspx. Lender Processing Services, Inc. (LPS) is a leading provider of integrated technology, services and mortgage performance data and analytics to the mortgage and real estate industries. LPS offers solutions that span the mortgage continuum, including lead generation, origination, servicing, workflow automation (Desktop®), portfolio retention and default, augmented by the company’s award-winning customer support and professional services. Approximately 50 percent of all U.S. mortgages by dollar volume are serviced using LPS’ Mortgage Servicing Package (MSP). LPS also offers proprietary mortgage and real estate data and analytics for the mortgage and capital markets industries. For more information about LPS, visit www.lpsvcs.com.